Rochester Rowing Club’s Junior Development/Novice Program draws youth from all over southeastern Minnesota who train as the Rochester Rowing Club ‘Development’ part of the RRCMN Juniors Division. RRC runs a year round program for new rowers (Novices), and once your first year is complete rowers can continue in the Development Program, or advance to Competitive Program, though rowers may advance earlier if their training is going well and an agreement is made with Coach. Both programs are organized by seasons: Fall (September through early November); Winter Training (December-March); Spring (March-May); and Summer (June to mid August). In addition to on-water rowing technique, these rowers are taught boat handling, safety on the water, as well as indoor rowing technique on the ergometer (aka, rowing machine.) 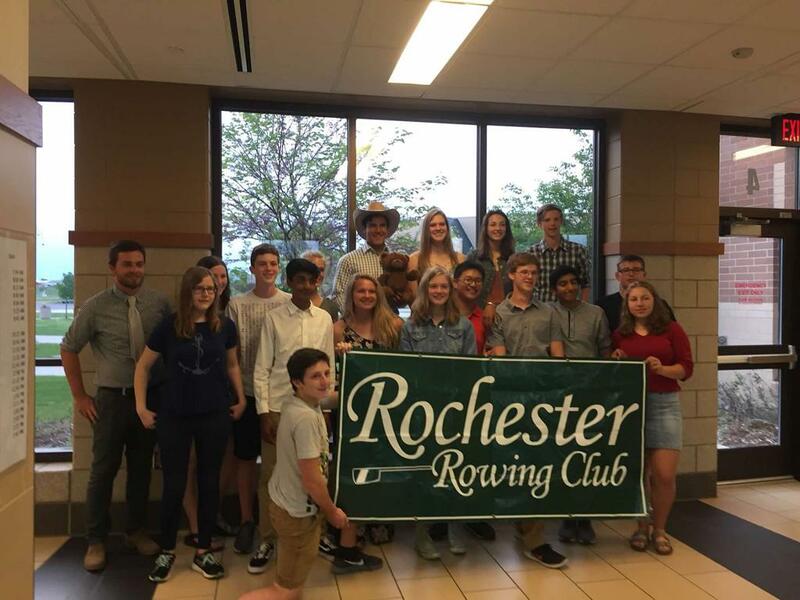 Rochester Rowing Club’s Junior Programs are designed to help athletes improve in all aspects of fitness, mental toughness, discipline, and team building. The program is coached by experienced coaches who make learning to row easy and fun. If you have questions about rowing contact Coach by email. NO EXPERIENCE IS NECESSARY. **During the winter season this program is also perfect for athletes looking to work on their general strength and fitness, and we welcome those participants. Email Coach with any questions by clicking HERE. New to rowing? Click here to learn more!